Gardening for wildlife is an eco-friendly way to create an enjoyable space. It also preserves the habitat of the creatures you share it with. Why should you share your garden with our winged friends? Not only is it a pleasure to watch and listen to them, birds keep the bug population under control – some species can consume over 100 bugs in a day! 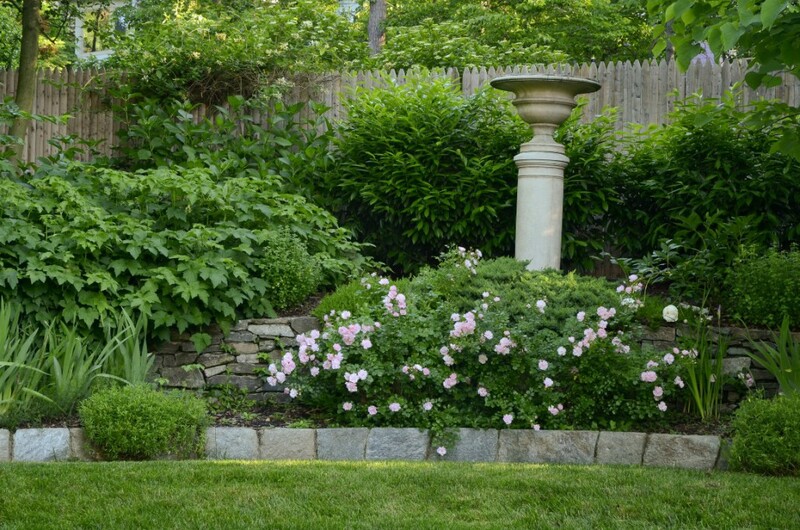 In order to attract them to your yard, you need to create an environment that they can thrive in. Different birds eat different things. Some of the most common food sources include fruit, seeds, nuts, and insects. Trees such as juneberry and wild cherry provide sweet fruit in summer. Dogwoods and magnolias produce fall fruits that contain crucial high-fat content. Birds eat these to store reserves for winter. Chokeberry and rose hips both provide winter and early spring fruits that can sustain birds. They also rely on seeds, oak acorns, and nut-bearing trees as food sources. In addition to food, birds need water for drinking and bathing. If you do not already have a natural water source, consider adding a garden pond. Include a few fish to the pond to eat mosquito larvae. A bird bath is also an option. Birds need a place to build nests, rest from their journey, and hide from predators. Mature trees, hedgerows, and landscape corridors are all suitable. If you have brush piles, don’t discard them. Birds can use the materials to build nests. Just make sure you don’t leave the piles near damp spots or busy roads. At Shorb Landscaping, our professional landscapers and designers can help you create a wildlife friendly garden. You can review our previous projects and contact us online, or you can call us at 301-897-3503.